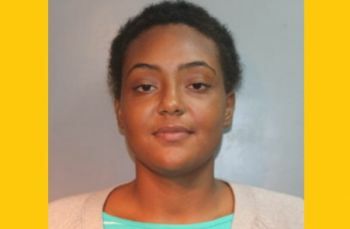 According to VIPD Public Information Officer Glen Dratte, Hadiyah Shabazz, age 20, was arrested on information provided by the child’s father. The father called the 911 emergency call center on Thursday, June 22, 2017 while on his way to the Juan F. Luis Hospital, stating that his child was stabbed. Upon officers arrival at the hospital, they met with both the child’s parents, who told investigators that Ms Shabazz stabbed their three-month-old in the chest and neck areas, according to Mr Dratte. Ms Shabazz was remanded to the Golden Grove Detention Center pending her advise-of-rights hearing, according to Mr. Dratte. Mr Dratte said the baby, in stable condition, was being treated at the hospital as of Tuesday. That woman is a straight up Demon. It is easy to call people ignorant. But there are facts they know well. Tell me what fact you need to know when it comes to stabbing a baby? You good in your head dude? Now that's some sick sh#t. I wasn't calling the police !!! If she can do that to a innocent baby, think about what she would do to an adult. She is pass Cray Cray. Hope while she is in jail they beat her A,, for breakfast, lunch and dinner. How can anyone do something like that to a innocent baby that cannot defend itself. JESUS! Help us. I hate to read about things happening to babies. Babies can't fight back. It hurts my heart. God blessed this baby to be alive, Wow.